Stone-flaking demonstrations and hands-on experience are an important part of our teaching curriculum. We frequently conduct workshops and demonstrations of various techniques. Members of the Stone Tools and Cognition Hub are actively engaged in stone tools research ranging from spandrels experiments, to reduction sequence analysis, to tool replication and use. Stone flaking is the origin of the technology that surrounds us. Stone-flaking first emerged among our hominin ancestors in Africa 3.2 million years ago, and since then stone has been shaped into tools and objects in unbroken succession. Stone artefact serve as eloquent expressions of human endeavour, as ‘fossil thoughts, forever reminding me of the mind that shaped them’ (H. D. Thoreau). Our research applies stone-flaking experiments and archaeological analysis to reverse-engineer these ‘fossil thoughts’ and gain insight into the evolution of the human mind, and Homo sapiens’technical mastery of this challenging medium. Principal research in this Hub is conducted by Dr Mark Moore, with contributions by many other researchers. The design space of stoneworking is defined by the boundaries of fracture mechanics and the limitations of the hominin body plan. The archaeological record of stoneworking records the story of how hominins navigated within this tightly-bounded space to, at first, produce simple sharp-edged tools, and, in later prehistory, to produce works of art of astounding complexity. 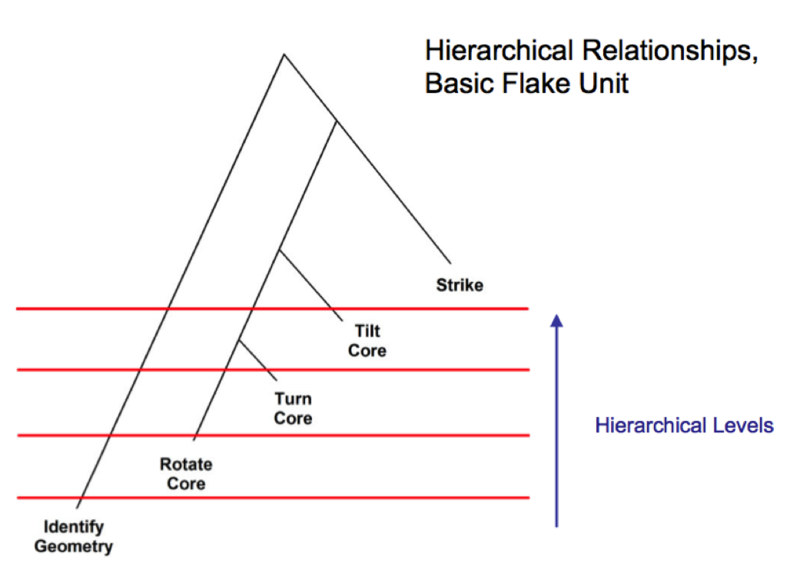 The design space model defines two aspects to stone flaking: 1) the mental and physical evaluations necessary to remove a single flake, called a ‘flake unit’; and 2) the combination of flake units in series. Flake units vary in complexity and can be combined in myriads of ways (Moore 2010). These factors can be teased from archaeological assemblages through careful evaluation of reduction sequences, and their meaning assessed through modern-day flintknapping experiments. A ‘spandrel’ is an architectural term for the curved corner produced when an archway is driven through a rectangular wall, or when a dome is perched on pillars. In a classic analogy, Gould and Lewontin (1979) argued that the spandrel is an inevitable result of the choice involving arches; although specific forms of religious art were placed in those locations, spandrels were not the subject of intentional design. 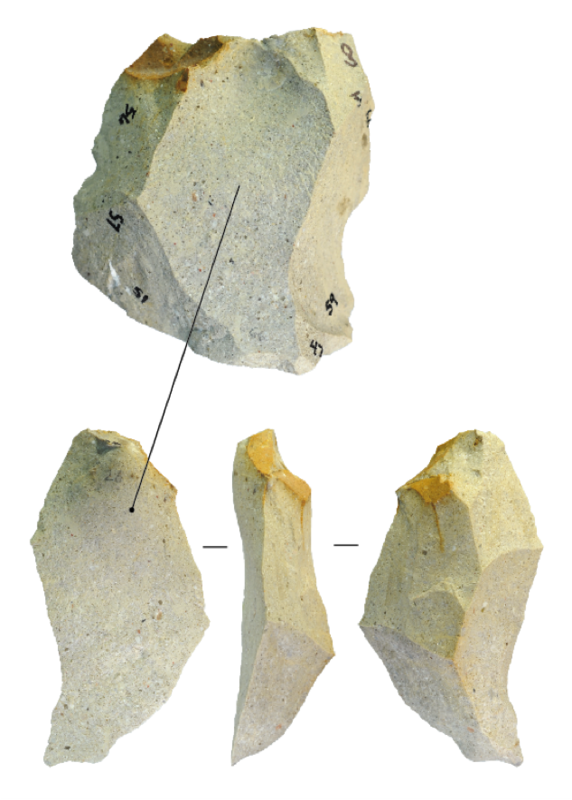 The Spandrels Hypothesis proposes that the early stone tools archaeologists traditionally identify as deliberately designed are instead inevitable outcomes dictated by the constraints of stone-flaking design space. According to this hypothesis, stone flaking—combining flake units in series—can progress based on the simple intentions found within the flake unit itself. The progression is driven by the geometrical constraints of removing individual flakes, and not by prior hominin intentions to produce complex forms (Moore 2011). It may be that the ostensibly designed and complex aspects of early stone tools could have been produced by a cognitively simple process. If so, these tools may not be the product of intentional design, but may be ‘spandrels’ of stoneworking. Stone tool from Liang Bua, associated with Homo floresiensis. Is this a ‘designed’ tool, or a spandrel: the simple byproduct of making flakes? Scale bar 10 mm. Photo M. Moore. Chopper-like core produced in the spandrels experiments. Scale bar 50 mm. Photo M. Moore. combination of flake units. This is achieved by randomising the way that flake units are combined on a stone, thus eliminating deliberate or unconscious intent from the reduction process. To do this, a modern stoneworker, or ‘knapper’, identifies and numbers all of the potential striking platforms on a stone core that might be struck to produce a flake. This relies on the knapper’s knowledge of fracture mechanics. The flake to be struck is selected using a random number generator, and that flake is removed. This changes the shape of the core, so the knapper must re-evaluate the numbered platforms and identify new platforms. A platform is again selected randomly from this set, and the process continues until the stone is reduced below a defined size threshold. The shapes of the experimental cores after each blow are studied using traditional archaeological methods. The experimental protocols eliminate the possibility that these cores were ‘designed’ in the usual sense of reflecting prior intentions to produce a specific form. Early results vindicates some, but not all, aspects of the Spandrels Hypothesis (Moore and Perston in review). Comparison of cores from Liang Bua Cave (A-B), cores replicated by M. Moore (C-E), and cores produced in the spandrels experiments (F-H). Scale bar 10 mm. Photo Y. Perston. Student research by Yinika Perston compared the cores produced in the spandrels experiments to cores made by Homo floresiensis in Liang Bua Cave, and another set of cores made by Mark Moore in 2006 to replicate the Liang Bua assemblage. Yinika compared the results of ‘quadrant analyses’ for each of the three assemblages, and found that some aspects of the Homo floresiensis tools could not be explained according to the ‘intention-free’ spandrels model (Perston 2012, in preparation). Levallois-like core produced in the spandrels experiments. Photo M. Moore. Student research by Matthew Smith adopted the experimental protocols of previous spandrels experiments, but adjusted the nature of the ‘black box’ flake units. In the initial spandrels experiments, the knapper was not allowed to adjust the platforms on the core in any way prior to striking. In Matthew’s experiments, the knapper was allowed to improve the platforms by flaking, if necessary. The research affirmed the hypothesis that Levallois-like byproducts would occur significantly more frequently if platform preparation was allowed (Smith 2015). 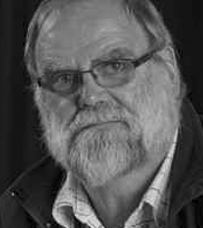 An early hominin presence was documented on the island of Flores, Indonesia by the late Michael J. Morwood, then an academic in Archaeology and Palaeoanthropology at the University of New England. A nearly-complete skeleton of this enigmatic hominin was uncovered in Liang Bua cave in 2003, Homo floresiensis (Morwood et al. 2004; Brown et al. 2004), nicknamed ‘the Hobbit’. Subsequent research by members of Morwood’s original team have fleshed out aspects of the hominin presence on Flores (Brumm et al. 2006; Moore et al. 2009 ; van den Bergh et al. 2016a; Brumm et al. 2016) and Sulawesi (van den Bergh et al. 2016b). 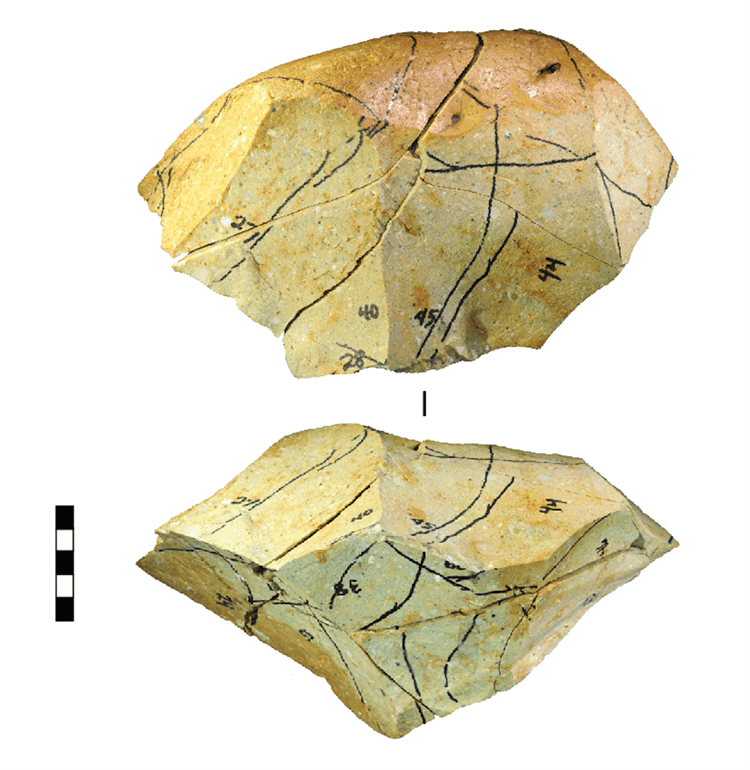 The stone tool assemblages from Flores are the largest dated early hominin assemblages in East and Southeast Asia. Stone core made 700,000 years ago by Homo floresiensisat Mata Menge, Flores, Indonesia. Scale bar 50 mm. Photo M. Moore. Reduction sequence model for the production of Kimberley Points, Western Australia. From Moore (2015). 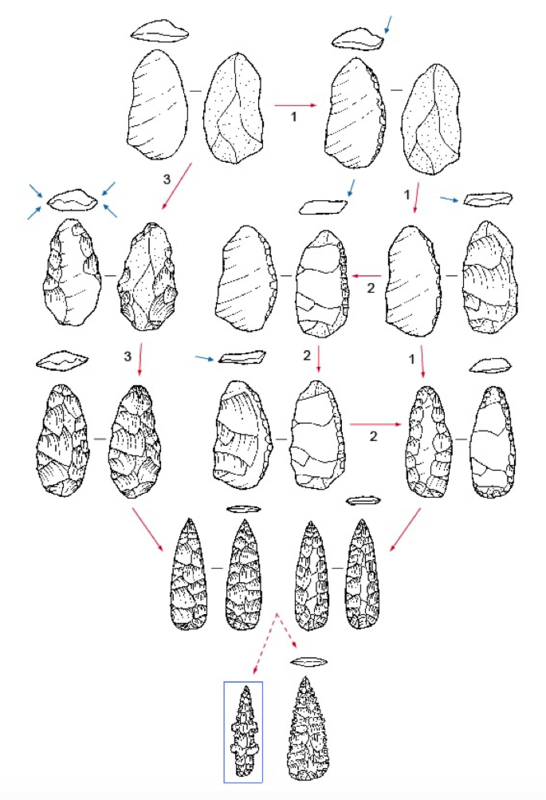 Homo sapiens flintknappers often flaked their stones according to complex recipes that demonstrate technical mastery of fracture mechanics and sophisticated strategies that involved thinking many steps ahead. Enacting these recipes introduced stone-flaking debris into the archaeological record that can be reverse-engineered, reconstructing the original recipe in some detail. These recipes—or ‘reduction sequence models’—can then be studied to uncover lost technical stoneworking know-how and knowledge. Past reduction sequences were culturally dictated and influenced (Moore 2014), and thus provide a basis for tackling some of larger questions in archaeology (Moore 2013). Hafted macroblade knife made and hafted in the historical period by an Aboriginal stoneworker. South Australian Museum, artefact A4221. Scale bar 50 mm. Photo K.Newman. The ethnographic record of Australian Aborigines is the most comprehensive available for understanding stone tool production and use among traditional hunter-gatherers. Hub members have collated these accounts into a research library and refer to them in interpreting the archaeological record (Moore 2003; Moore 2013). 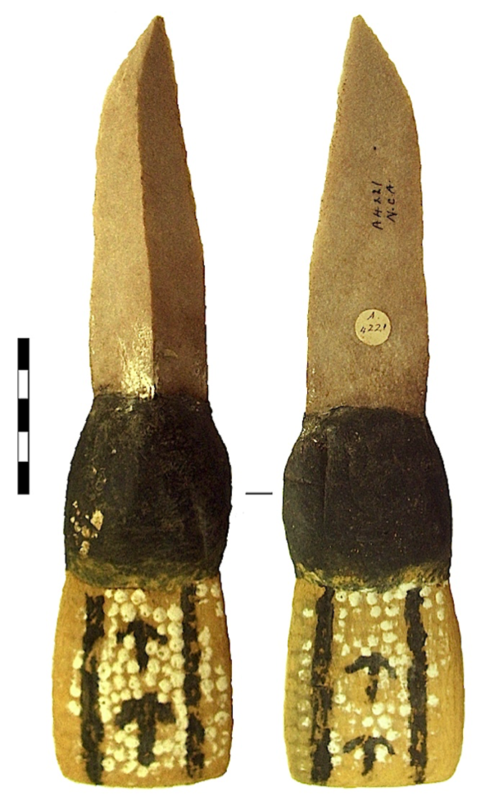 Student researcher Kimberlee Newman studied hafted Aboriginal stone spearpoints and knives held in Australian museum collections, and her results challenged international metrics thought to identify point function.Kimberlee’s study suggests that the metrics of stone points reflect cultural decisions as much as technical ones (Newman and Moore 2013). As part of her ongoing MPhil research at UNE, Kimberlee is exploring the phenomenon of ‘bedrock flaking’ in the Northwest Kimberley of Western Australia in the context of ethnographic accounts of Aboriginal ritual. Replication by Mark Moore of a Thebes-style bifacial tool from the Early Archaic of North America. Made from fine-grained Australian silcrete. Photo M. Moore. Hub researchers explore past stone technologies through an understanding of stoneworking developed through hands-on knowledge of the process, a form of ‘experiential archaeology’. We strive to continuously develop and improve our stoneworking knowledge through active flintknapping, under the aegis of the New England Knapping Guild (the only such organisation in the Southern Hemisphere), with regular sessions held at UNE Archaeology’s knapping pit. We apply stoneworking techniques and methods from all periods of prehistory, from the earliest technologies of our hominin ancestors, to the advanced percussion- and pressure-flaking skills demonstrated by many Homo sapiens cultures throughout the world. UNE Archaeology has an active program in Experimental Archaeology. As part of this, we encourage students to make and use stone tools to achieve a variety of tasks, and to reflect on the effectiveness of stone technology. We have discovered that the manufacture of stone tools is conceived of differently when producing tools to achieve a specific function, as opposed to tools that replicate an archaeological specimen. This tension provides scope for better understanding of the stone toolkits and debris we find in the archaeological record. Students using stone tools at the ARPA 307 Intensive School, 2016. 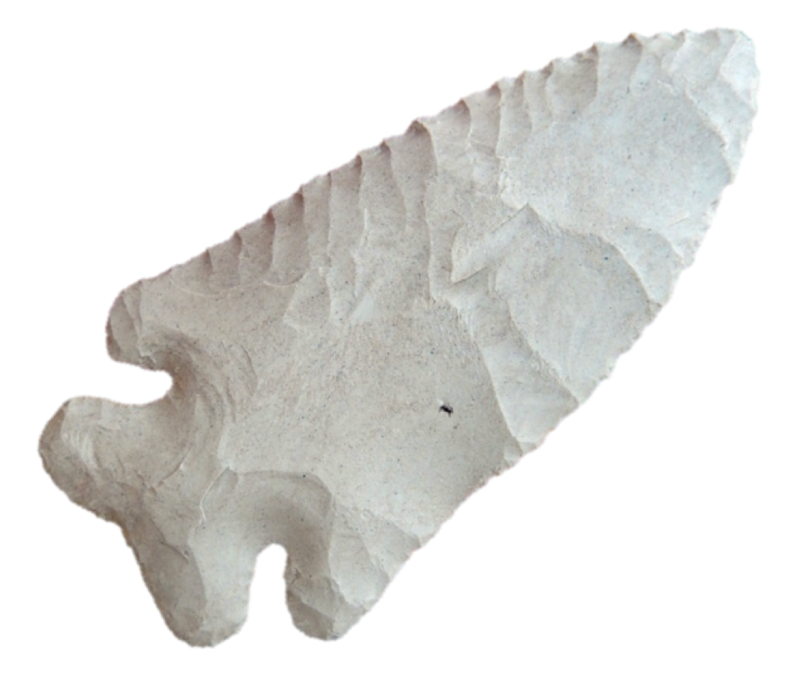 Stone point made by a modern flintknapper in India. Scale bar 50 mm. Photo J. Knight-Sadler. Flintknapping is a fast-growing hobby in North America and Europe, with a nascent movement developing in Australia, aided by the improvements in communication through social media. Modern flintknapping has emerged in Indonesia, and Aboriginal flinknappers in Australia are reclaiming this part of their traditional heritage. Hub members actively engage with the hobby on the internet, assisting beginning flintknappers in search of skills and advice, and sharing knowledge with advanced flintknappers. 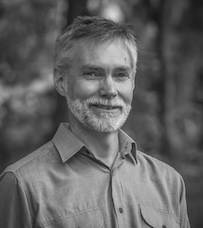 The nature of the modern flintknapping phenomenon is worthy of anthropological and archaeological study in its own right (e.g., Whittaker 2004), and can be considered the logical end-point in the scope of topics explored by the Stone Tools and Cognition Hub.